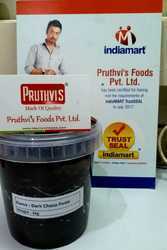 Our product range includes a wide range of dark choco paste, hazelnut choco spread, choco paste for peanut butter, light choco dip, dark choco dip and milk choco spread. Choco Paste is Dark Brown in color. Choco paste is mainly used by manufacturers of confectionery, candies and ice creams etc. A unique combination of roasted hazelnuts and just the right amount of fresh cocoa gives our Hazelnut Spread a distinctive nutty flavor. It adds a rich taste to any desert. 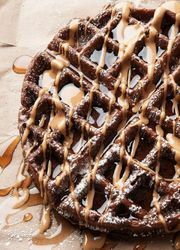 A dash of Hazelnut Choco Spread on a waffle or bread slice is just a perfect addition to morning breakfast. 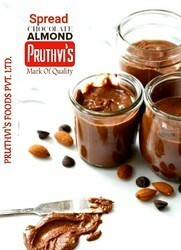 A Choco Paste suitable for a Hint of Chocolate Flavour in your Peanut butter, making it delictable and flavorfull. Adding more to your regular peanut butter, this choco paste is specially made for addition to Peanut butter. It will give a perfect balance of chocolate flavor when added to rich Peanut butter. The unparalleled taste of our Light Choco Dip is the perfect way to add velvety richness to cakes pops, marshmallows and sinful deserts. The distinctive color of Light choco Dip is because it is made up of a cream-based ganache. A special care is taken to add just the right amount of ingredients to develop a pleasantly smooth flavor and rich dreamy texture. The secret of our delicious Dark Choco Dip is in its ingredients and making technique. This chocolate sauce is made from Raw cacao powder which is high in potassium, magnesium, fiber, antioxidants, and polyphenols. The robust flavor of Cocoa is responsible for the intense color and flavor which makes your dish deliciously appealing. You can enjoy it with Macaroons, Churos, as a dip for Fruits, as a sauce for Icrecreams and Brownies. There are endless combinations possible to indulge into this sinfully delicious chocolate treat. An outstanding combination of chocolate flavor and a subtle brown tinge is the unique characteristic of our Milk Choco Spread. It is good to go with waffles, pancakes, muffins, and pitas. Although it tastes, smells, and looks like chocolate, it does not solidify, even at room temperature. 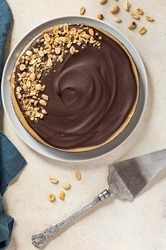 It's made like a cream-based ganache, using chocolate with a low fluidity. This delicious, is a sweet condiment you can feel good about eating every day. 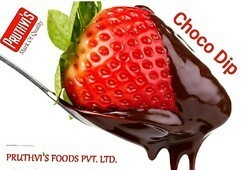 Our Dark Choco Spread is made from finest Belgian Chocolate with very Intense Chocolate taste boasting of Cocoa Flavor. It has excellent workability and is perfect for boosting the chocolate flavour in your recipes. Enjoy it in different ways. Try spreading some on fruits, pretzels, bread, cake or enjoy it straight from the jar. Our Almond Choco Spread is made from just pure Almonds – crushed, blended in the right proportion with chocolate to give a naturally sweet taste and smooth texture. There are not added Preservatives. The Almonds are handpicked and lightly roasted before being stone ground to give a unique nutty indulgent spread. This perfect blend of Almonds and Chocolate serves as a melt-in-your-mouth treat. It is perfect for spreading on apples, pretzels, waffles or using in any of your favorite recipe. 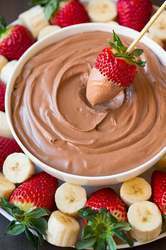 Looking for Choco Hazelnut & Almond Spreads, Paste, Dips ?